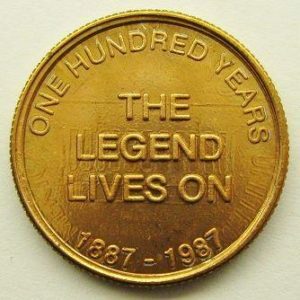 In 1987, Larry Hall, a machine shop operator in Morgan, Utah, issued a token in commemoration of the 100th anniversary of the first appearance of Sherlock Holmes. 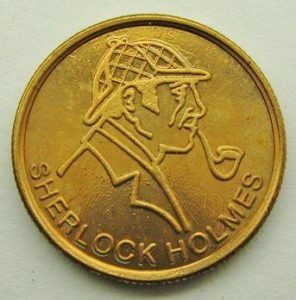 What makes this token different from other tokens featuring Sherlock Holmes is the metal disc that was used. Hall had his design struck on Lincoln cents that were, and still are, legal tender. 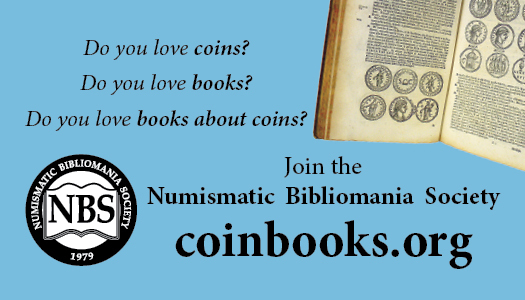 As long as their no intent to defraud, this “mutilation” of U.S. coinage is considered legal. If you look closely at the reverse design, you can make out the remnants of the Lincoln Memorial in the design background. Interested parties were able to acquire two specimens of the token for $1 and a self-addressed stamped-envelope.